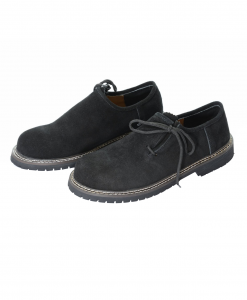 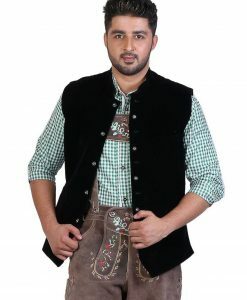 These Herren German Lederhosen with lederhosen suspenders in Dark Grey are made from 100% suede leather. 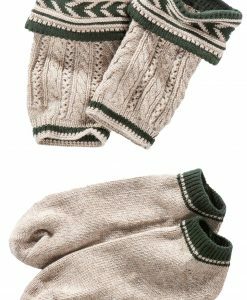 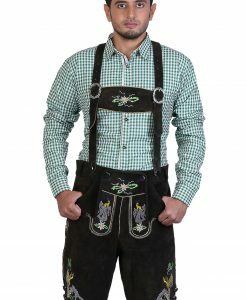 The Bavarian festive charm is given an embellished effect with color variant embroidery at front, on H-suspender flap, and on thighs. 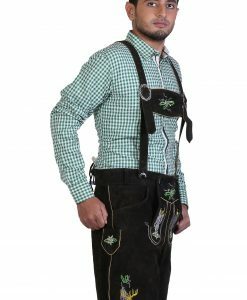 The H-shaped braces of traditional German lederhosen have green and white motif while the front and sides of thighs of trachten lederhosen has embroidery in shades of yellow, green, white, and lilac. 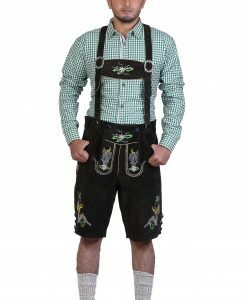 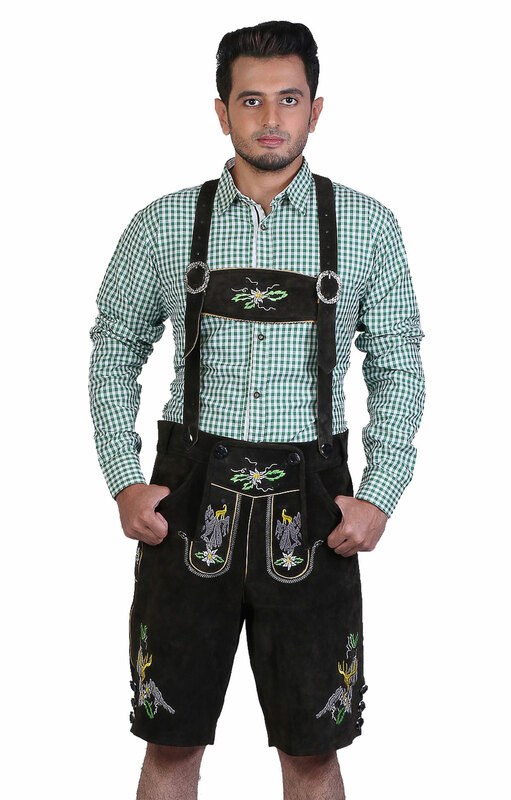 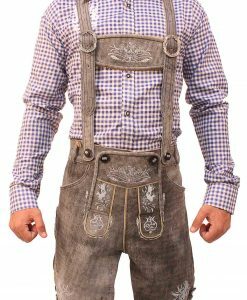 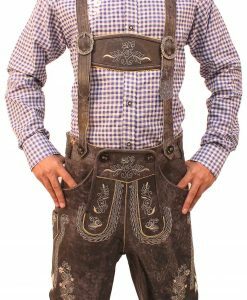 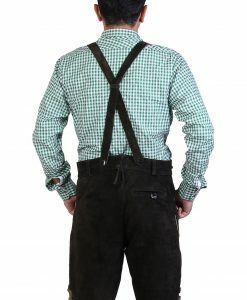 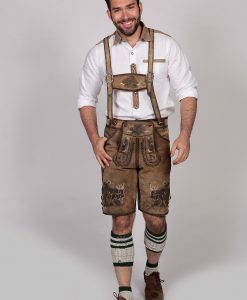 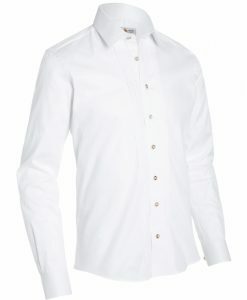 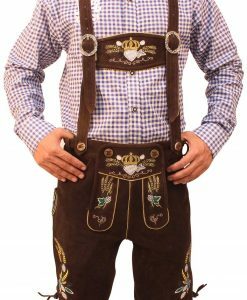 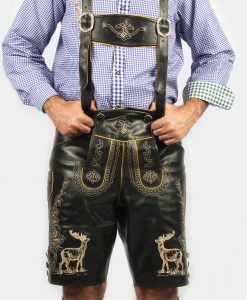 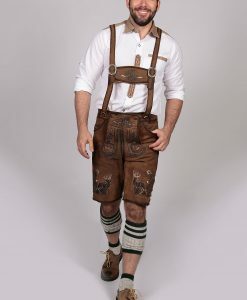 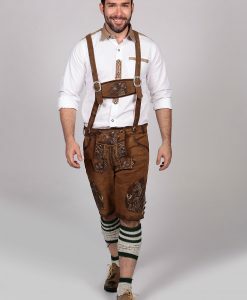 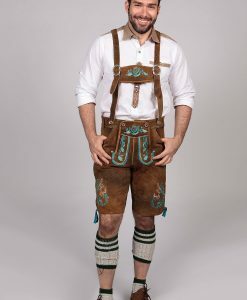 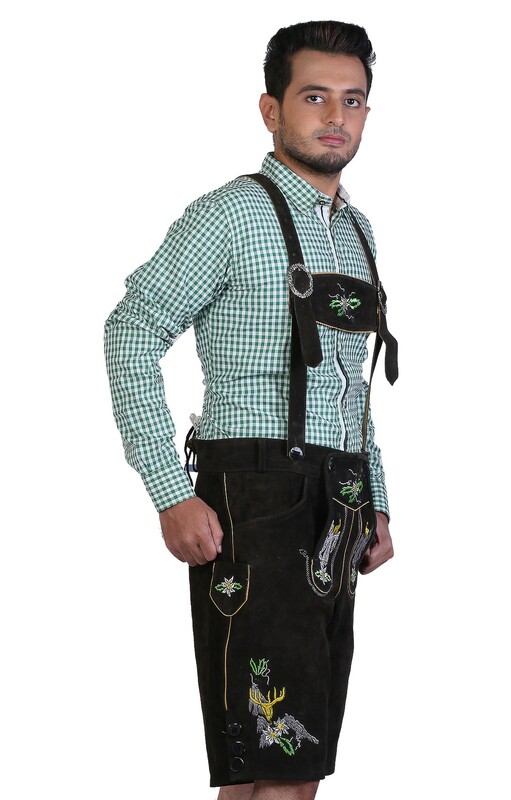 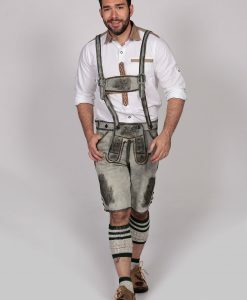 The silver buckles on menÂs authentic lederhosen allow adjustment of suspenders as per your fit and they are attached with the waistband with black shining buttons. 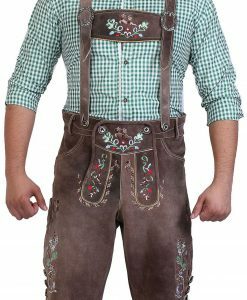 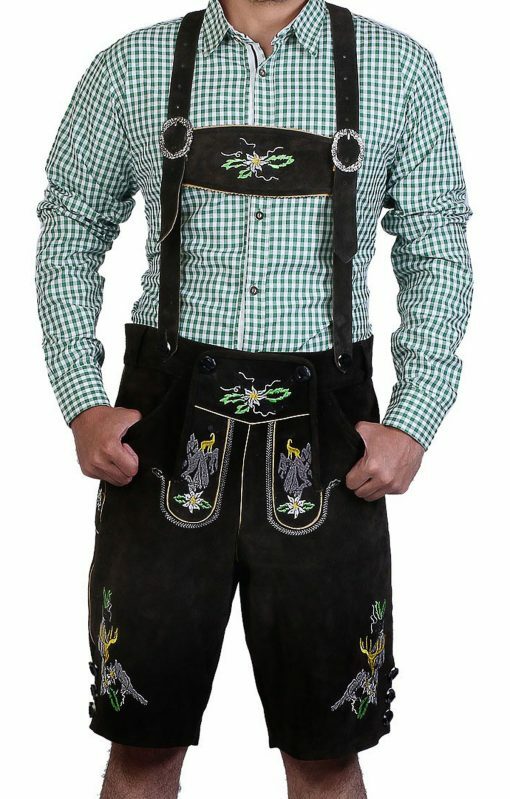 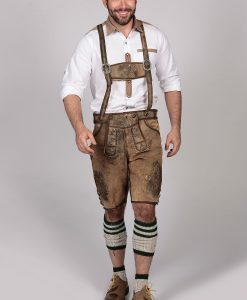 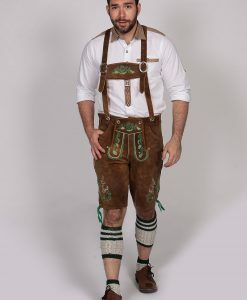 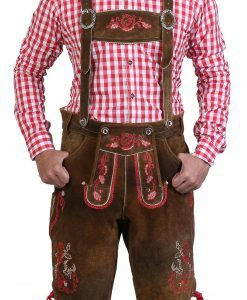 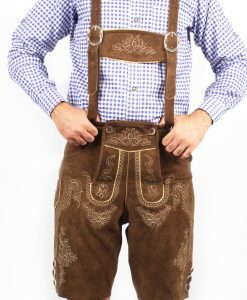 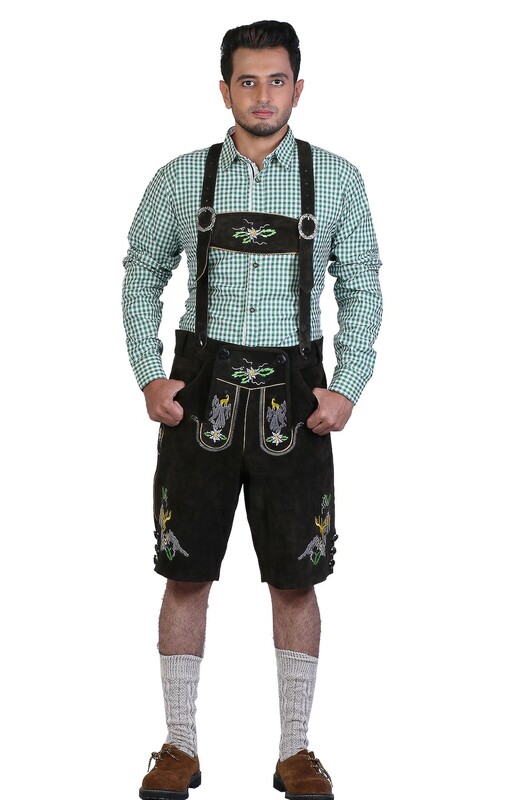 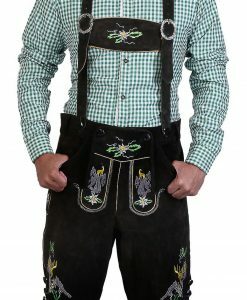 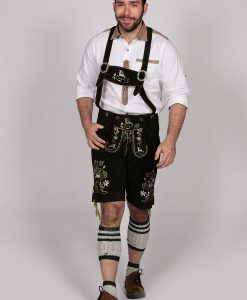 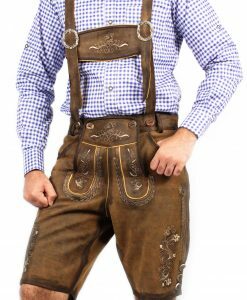 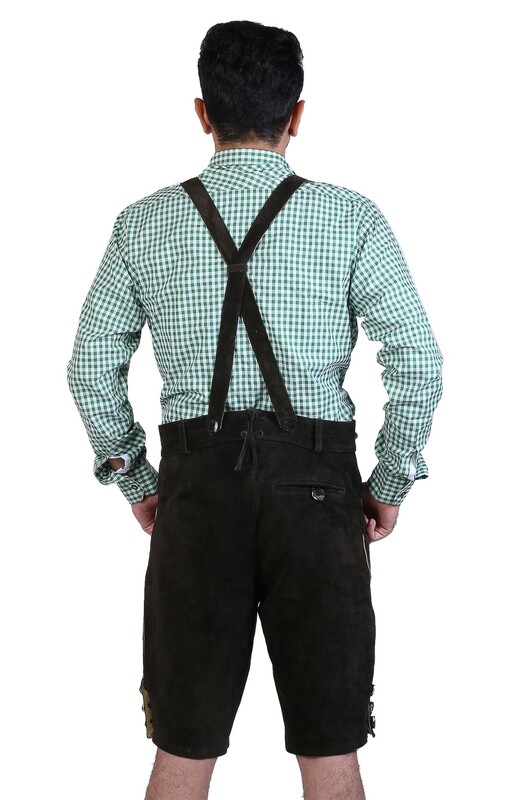 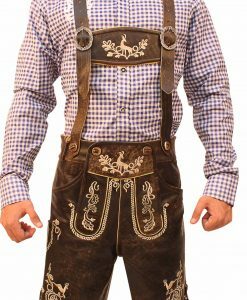 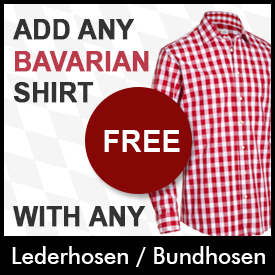 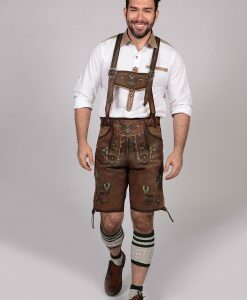 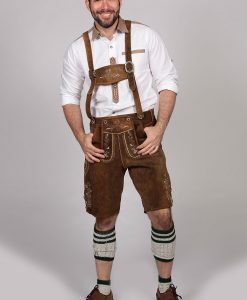 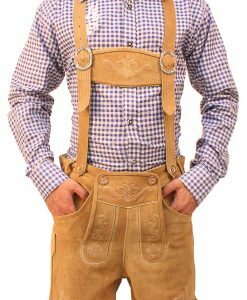 Belt loops are also provided on these German lederhosen for a perfect Oktoberfest outfit.